Are your child’s heart and lungs failing, or was it born with a serious pulmonary or respiratory defect? Not every hospital is capable of providing therapy for such a critically ill patient. We at PEDIATRIC AIR AMBULANCE can transport your child to where it will receive the best of care – worldwide, anytime. Particularly when your child has a critical condition and its body’s oxygen supply is not assured. To transfer your child will call for an extracorporeal life-saving procedure, provided by what is known as an ECMO or ECLS machine. What is ECMO therapy for children? ECMO is an abbreviation for extracorporeal membrane oxygenation. Such a device supports your child’s cardio-pulmonary function, even as far as providing total life support in cases of organ failure. 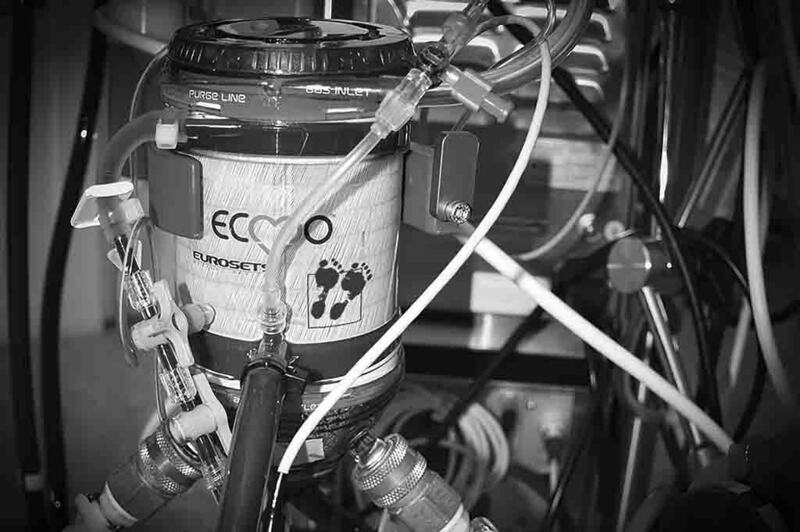 An ECMO system, also termed extracorporeal life support (ECLS), is designed similar to a miniature and especially portable mechanical heart pump or ventricular assist device (VAD). An ECMO device is the most frequently deployed method of intensive medical care technologies for children, providing support for heart and lung function. Of course, this form of therapy is only used as a last resort, when all other methods of treatment prove unsuccessful. When your child’s blood is not supplied with enough oxygen, it threatens a shortage of supply to the brain and other vital organs. This can lead to irreparable brain damage or even death. Hyperacidity of the blood is also dangerous for young patients, so carbon-dioxide removal is equally as necessary as the function of oxygenation. In an extracorporeal circuit the blood is piped out of the body through a cannula into the heart-lung machine, which provides oxygenation and removal of carbon-dioxide from the blood, and through a second cannula is returned to the body. The second cannula of the ECMO circuit can either return blood as veno-arterial ECMO into a major artery or as veno-venous ECMO into a large vein. We decide which is most appropriate when providing treatment. We offer a mobile ECMO service worldwide. If need be, our specialised ECMO transport team can implant our own device directly at the hospital of collection. We staff these flights with ECMO centre specialists from the departments for paediatric cardiology and paediatric intensive care at Ludwig-Maximilian University of Munich and Rescue Perfusion™. Unfortunately complications can always arise in intensive care with an ECLS system. 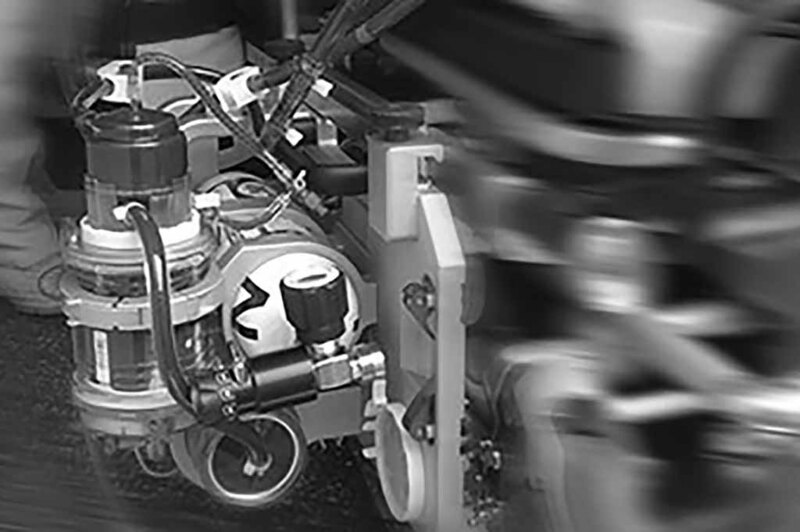 That is why our mobile ECMO team are ECLS experts made up of at least one paediatric cardiologist or intensive care paediatric doctor, a perfusionist, an intensive care nurse and a cardiac surgeon. The team’s training is constantly updated with all the latest techniques and findings of ECMO/ECLS. We guarantee you the best possible monitoring of your child by our ECMO specialists during ECLS therapy. Of course, this also applies to neonatal ECLS therapy options for premature and newborn babies. The duration of ECMO therapy is not possible to calculate in advance. It is completely dependent on the condition of your child.